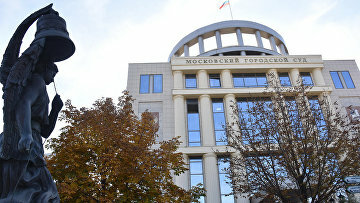 Russian court upholds detention of Baring Vostok partner | Russian Legal Information Agency (RAPSI). MOSCOW, February 26 (RAPSI) – The Moscow City Court had upheld the detention of Vagan Abgaryan, a partner of Baring Vostok investment company, in a 2.5-billion-ruble (about $40 million) embezzlement case, the court’s press-service told RAPSI on Tuesday. The ruling of the Moscow Basmanny District Court, by which Abgaryan is to stay in detention until April 13, remains in force, the court has stated. The Baring Vostok partner is charged with especially serious fraud. On February 16, Moscow’s Basmanny District Court ordered detention of the founder of Baring Vostok investment company, U.S. citizen Michael Calvey, until April 13. The court refused to release Baring Vostok founder on a 5-million-ruble bail or put under house arrest despite his willingness to cooperate with investigators. On February 15, the court detained for two months five other suspects including Baring Vostok Industry Partner for the financial industry sector, French citizen Philippe Delpal, the company’s partners Vagan Abgaryan, Baring Vostok Investment Director Ivan Zyuzin, Maxim Vladimirov and ex- chairman of Vostochny bank board Alexey Kordichev. Delpal pleaded not guilty in court and refused to cooperate with investigators. According to investigation, Calvey knowing about a 2.5-billion-ruble debt of the First Collector Bureau, a firm under his control, has organized the sale of its shares to Vostochny bank that has led to embezzlement. The Investigative Committee claims that the suspect committed a crime that could not be classified as business crime because he used a chain of sham companies settling the deal. Moreover, investigators say they have a PricewaterhouseCoopers’ audit report on the done deal estimating the sold shares at 600,000 rubles, which indicates an instance of fraud. Calvey denies allegations insisting that the deal was fair as both companies agreed its terms and stood for it, including a person reporting an alleged crime to law enforcement bodies. He noted that a report has been filed with police by a member of Vostochny bank board of directors Sherzod Yusupov. According to Calvey, the real reason of his prosecution is a wide corporate dispute related to the control of the bank by two groups of shareholders: Baring Vostok and stockholders coming from Uniastrum bank, which was reorganized and joined to Vostochny in early 2017. Baring Vostok company founded by Calvey in 1994 focuses on private equity investments in the CIS and Russia. The company has invested in shares of Yandex, Vkusvill, Tinkoff Bank and other major projects. 13:59 26/02/2019 The Moscow City Court had upheld the detention of Vagan Abgaryan, a partner of Baring Vostok investment company, in a 2.5-billion-ruble (about $40 million) embezzlement case. 14:12 24/04/2019 Investigators have filed a motion to detain two new defendants in a criminal case against suspended senator Rauf Arashukov and his father until June 23.